This post was originally published in the May 2018 edition of Union Labor News. 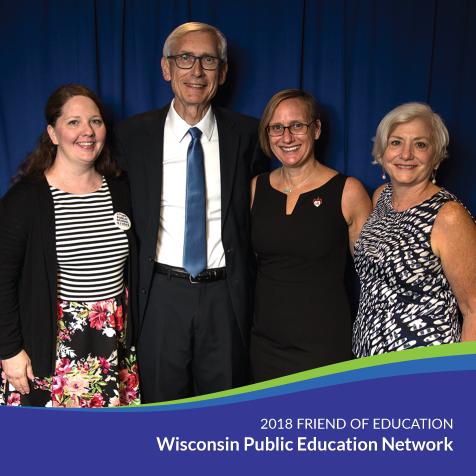 Will 2018 Be a Blue Ribbon Year for our Students and Schools? It’s up to us. It was a veteran organizer, a good union guy, who said it. We were sitting in a room of educators, talking about what we can do together to lift up our collective voice to defend our public schools and restore desperately needed funding to schools still reeling from the historic cuts of 2011. And as others started to nod, I realized: we’re not doing a good enough job of telling our story. We’re so bound up in counting our losses and licking our wounds that we aren’t taking time to celebrate our victories. And I’m not trying to sugarcoat our losses. I count them every day and spend all the time I can fighting to restore what our schools have lost in the past decade. 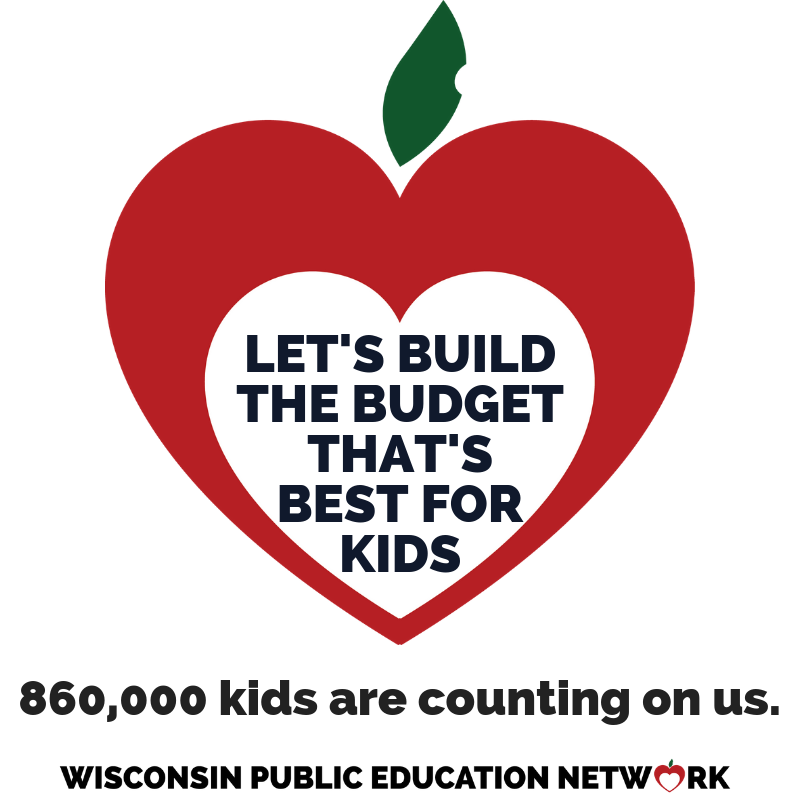 Despite claims of “record spending,” our public schools are still not funded at the level we saw in 2009, and over half of Wisconsin’s public school districts received less state aid this year than they did last year. But I’ve got news for you, Wisconsin: They care what we think. And even if it doesn’t seem like it, they’re listening to what we say. 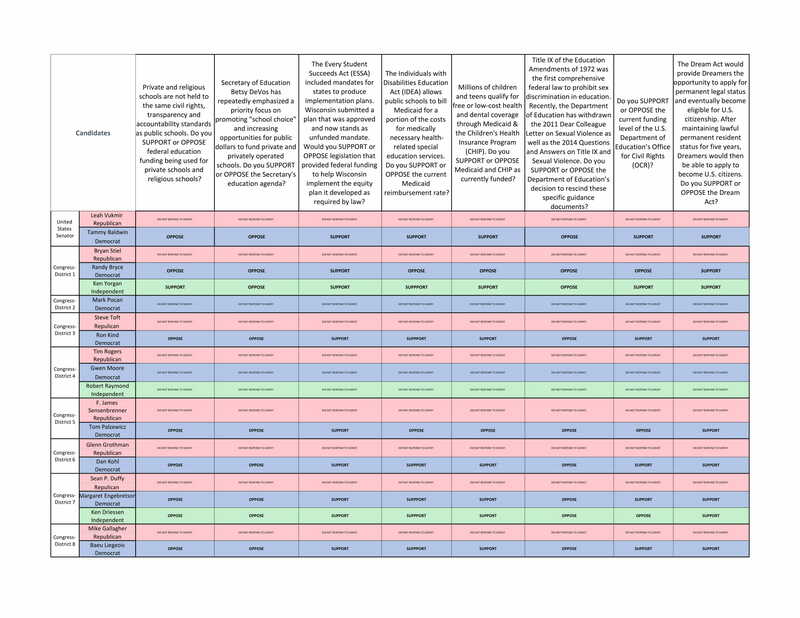 The proof is in the passage of a budget that lawmakers knew had to prioritize public school investments – for the first time in years, after citizens calling for restored funding dominated each of the eight hearings held around the state. 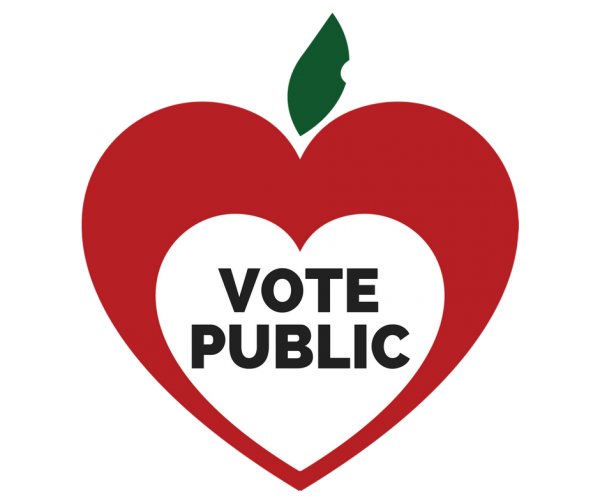 The proof is in the stump speeches we’re hearing around the state: politicians who were bashing our teachers and schools eight years ago are bending over backwards to present themselves as friends of public education. The proof in a special session on School Safety and the passage of a bill that finally met a demand we’ve been making for years – to live the low revenue limit ceiling and give low-spending, low-aided districts some relief from an unfair funding structure. 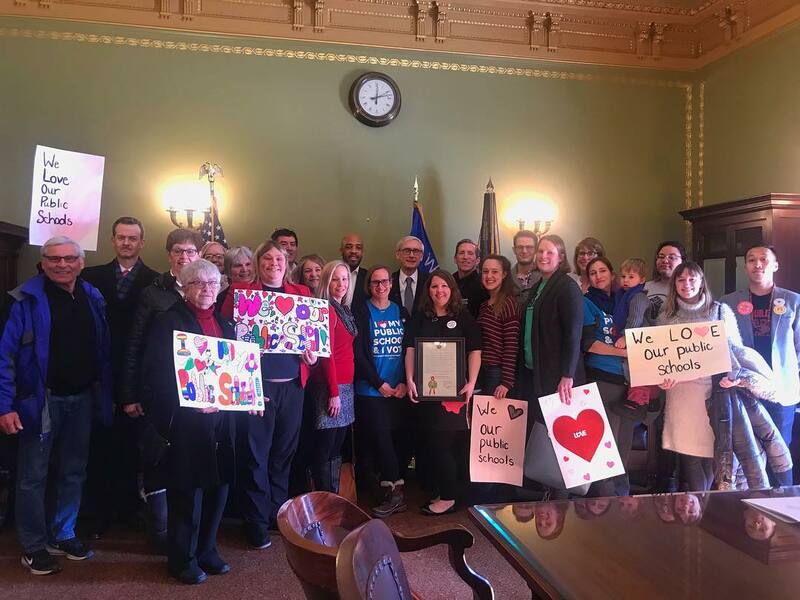 And the proof is in the calling of a special commission – the Blue Ribbon Commission on School Funding – which puts a panel of legislators and citizens together to travel around the state with the express purpose of listening to what we say and caring what we think. Whether or not we give them something worth hearing is up to us. 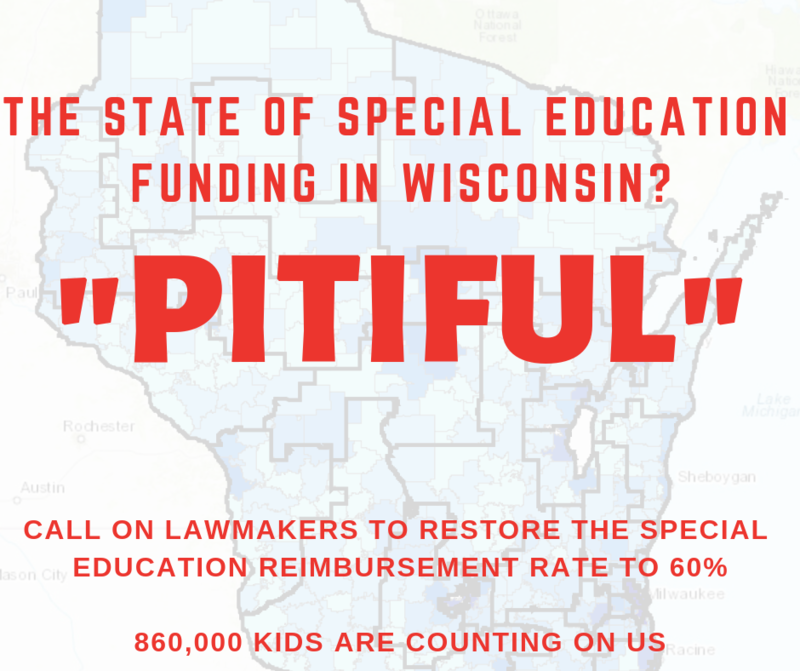 These hearings are an opportunity to help be part of reforming a broken funding system in Wisconsin, of exposing the actual costs of privatization on our communities and schools, of sharing our stories of what the “teacher shortage” really looks like in our buildings, what “underfunding” looks like for the kids we serve. These stories are our to tell and it’s our responsibility to tell them. And it’s our responsibility to hold elected official accountable – both now and in November – for making good on their promise to reform a funding system that’s creating winners and losers among our children and our communities. 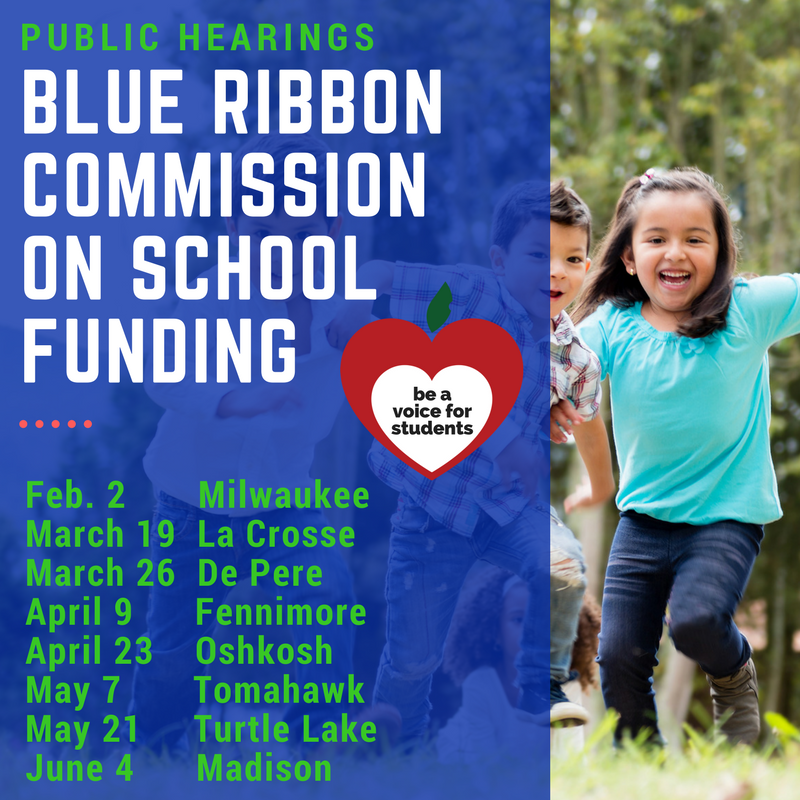 The Blue Ribbon Commission on School Funding hearings are open to the public – you get five full minutes to make your case, and you’ve got a captive, attentive audience for those five minutes, and the exceedingly rare opportunity to stand before decision-makers and make a case for what you’re for – and not just whatever you happen to be against at the moment. We’ve been to all of these hearings, and we can tell you: they are listening. They’re listening to board members demonstrate what happens when referenda can’t pass. They’re listening to business managers and superintendents lay out what it looks like to be “have nots” trying to compete with “haves” around the state. They’re listening to moms and dads and teachers and retired folks coming out to say enough with playing games with our kids and schools. 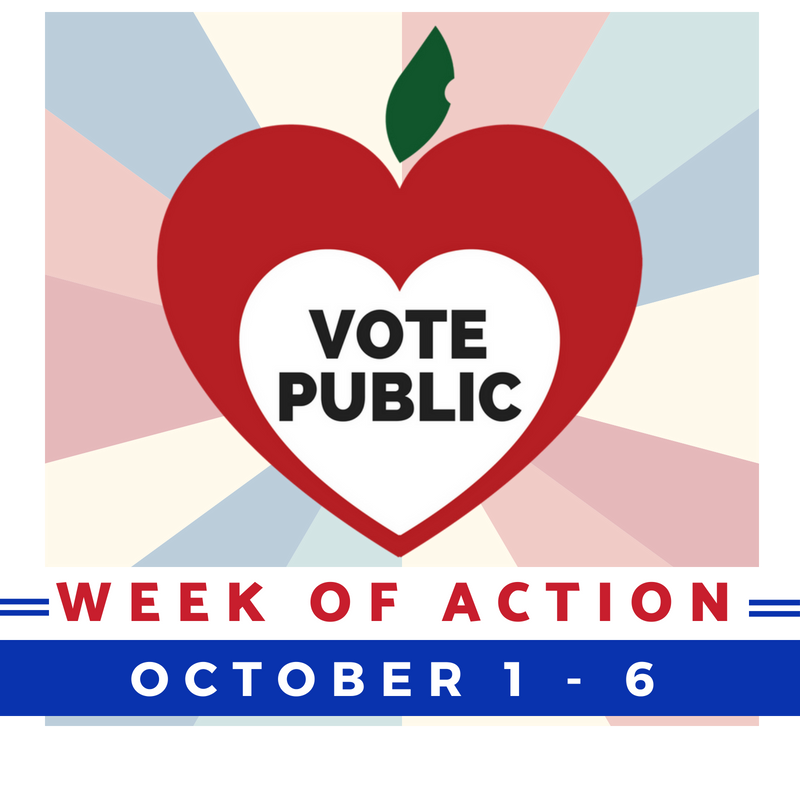 We demand accountability for taxpayer-funded school voucher schemes. 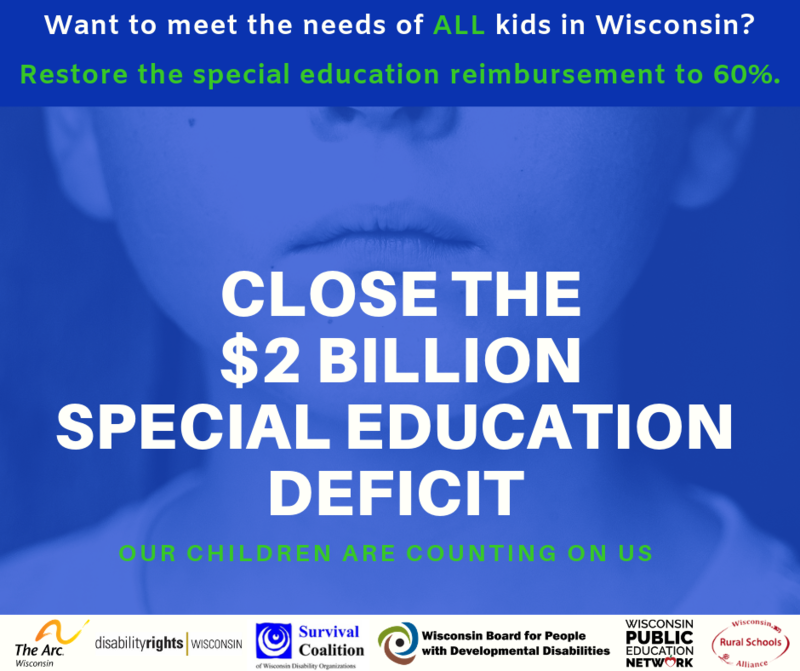 We demand lawmakers put equity first when revising the broken funding formula – and we’re going to hold them accountable for doing so as they draft the next budget. We can’t expect to be taken seriously unless we take seriously our own obligation to speak up. What we’re seeing in Wisconsin is that when we do – we see real change. Join us. The last two hearings will be held May 21 (Turtle Lake) and June 4 (Madison). You can also submit written or video testimony to the committee if you can’t attend in person. Don’t let your story go untold. Don’t let the needs of your community go unknown. The time to be a voice for students is now. You can find more information, including testimony tips and links to video from past hearings, on our Blue Ribbon HQ page at www.WisconsinNetwork.org.